Dental Coaching Firm | Clifton & Associates, Inc. 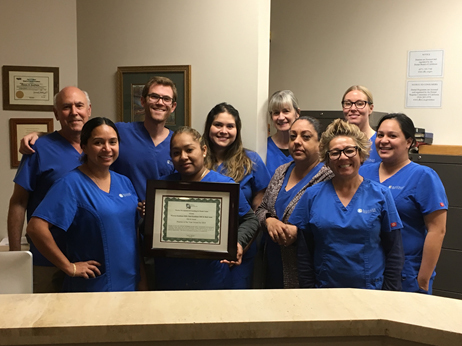 WELCOME TO CLIFTON & ASSOCIATES, INC.
Clifton & Associates, Inc. is a premier dental coaching firm exclusively for general dental practices located in Southern California. Our coaching programs are customized to meet the specific needs of your practice. Even the best, no matter what their field, continue to use coaches to help polish their skills, progress beyond their current performance, or introduce new techniques and motivation. Learn more about us here! Call or email us for a no-cost, no-obligation conversation to see how we might help you as we have helped our other clients. Many associate the need for consulting or coaching simply when a practice is in trouble or decline. However, there are also many practices that use a coach in order to fine-tune their business, customer service, or break through to a new level of productivity! Even the best, no matter what their field, continue to use coaches to help polish their skills, progress beyond their current performance, or introduce new techniques and motivation. This concept is common and very successful in dentistry as well. Every practice has potential that can be harnessed to not only improve production and collection levels, but enhance the service patients receive, the communication and teamwork in the office, or build upon the day to day systems that are necessary for operating a smooth successful practice. Clifton & Associates, Inc. is Southern California's premier dental coaching firm exclusively for general dental practices. Because of the frequency and duration of our in-office training programs, we only provide service primarily in this geographic area. Our in-office coaching programs have helped hundreds of practices. With increases from 15 to 300%, our clients average an increase of approximately 45%, yielding a return on the investment that exceeds 300%! No other coaching program offers the frequency and duration of in-office training and follow up that we provide. We're local and come to your office regularly. The level of service you will receive is unparalleled. Our history of clients and their results speak for themselves. References of similar practices are always available for prospective clients. We encourage you to explore our company and services. Please contact us for a no-cost, no-obligation conversation to see how we might help you as we have our other clients. Our practice has always prioritized patient care, but we haven't always been as focused on finances or systems. And while we were working hard, it didn't always translate into the efficient, profitable practice we hoped for. We decided it was time to call in an expert. In 2017 we hired Scott Stewart and had consulting meetings with him every other week for the first year. Though these meetings might be a slog with other consultants, Scotts' sessions are informative and entertaining, so it was easy to retain new information. The staff also appreciated that Scott respected their opinions and provided a forum for addressing concerns they might have. Scott has suggested changes for the practice both large and small. The changes he's suggested have paid dividends. Our practice is running more smoothly than ever before. Production and collection numbers are up. My days are far less stressful. The practice has benefited without sacrificing the quality of care we provide patients. I would recommend Scott to any practice. We encourage you to explore our company and services. Call or email us for a no-cost, no-obligation conversation to see how we might help you as we have helped our other clients.